Your wedding day should be one of the most memorable days of your life. Make it even more memorable for all your bridesmaid and grooms men as they arrive to your wedding in style. 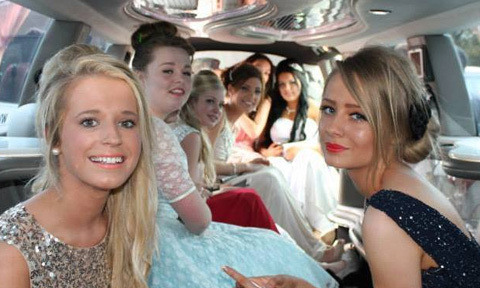 We specialise in School Prom Limo Hire. Arrive at your prom night in one of our American Stretched Limousines and Stand out from the crowd and celebrate in a class above the rest. Why make a compromise when you can travel in style for less? Tropical Limos offer the best prices in affordable limousine hire we cater for childrens birthday events, corporate limo hire Nottingham and limo rentals for parties and special events in the East Midlands. 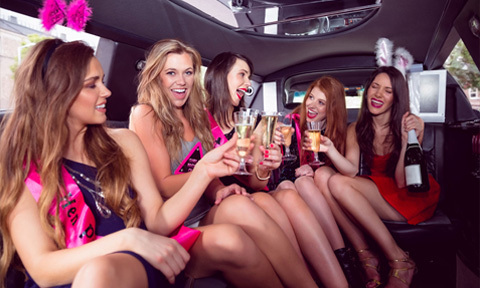 Make your hen or wedding party into the event of a lifetime, surprise your friend with a birthday ride they won’t forget or just travel around town in style with our luxury range of rental limos. 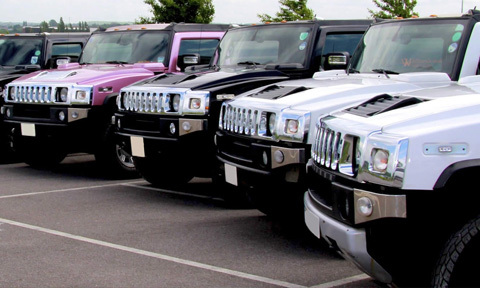 Depending on your needs, we offer an array of vehicles, including pink limousine hire, 16-seater limousine hire Nottingham, Chrysler “Baby Bentley” Limo Rentals, Hummer limousine hire Nottingham, and the breath-taking Rolls-Royce Hire! At Tropical Limo Hire Nottingham we pride ourselves in enabling our clients in the Midlands and Yorkshire to travel in luxury for less. Our affordable and reliable limo rental vehicles are equipped with GPS to make sure we’re at the right place whenever you need us. Not only that but our chauffeur drivers are friendly, knowledgeable and highly experienced, as well as CRB cleared and based locally. It's all about arriving in style! With Tropical Limos it's all about chauffeur-driven luxury Limousine Hire in the in East Midlands and opulent Wedding car hire. We also offer reliable, cheap and affordable exotic vehicle rentals in Leicester and Derby. Whatever the event, we cater for School Prom Car hire, hen and stag party limousine hire and Wedding Limousines. Our specially chosen vehicles include the Rolls-Royce Phantom Hire that adds grandeur and style to any special event and the 16 seater Hummer Limo which is the ultimate party vehicle on wheels. Trust us when we say Tropical Limos provides the best service in chauffeur driven limousines and executive car rentals. 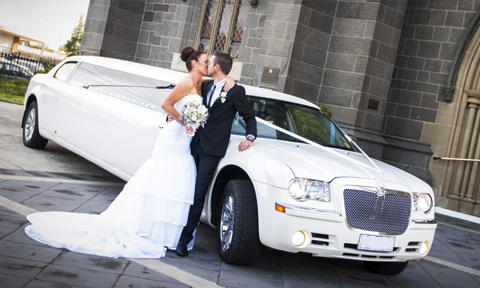 We have built a reputation over 15 years for safe limo hire and Wedding car hire that is still envied by our competitors. Why you ask? Well all of our vehicles are fully valeted and prepared to the highest standards. Meaning they will always arrive to you in the best possible condition. So whether you need Pink Limo Hire for a hen night or a Chrysler "Baby Bentley" Limo for a school prom hire, call us today and let us blow the competition away with our amazing limo hire prices. Whether you want to hire a luxury saloon for an important business engagement or a convertible sports car for that special occasion. 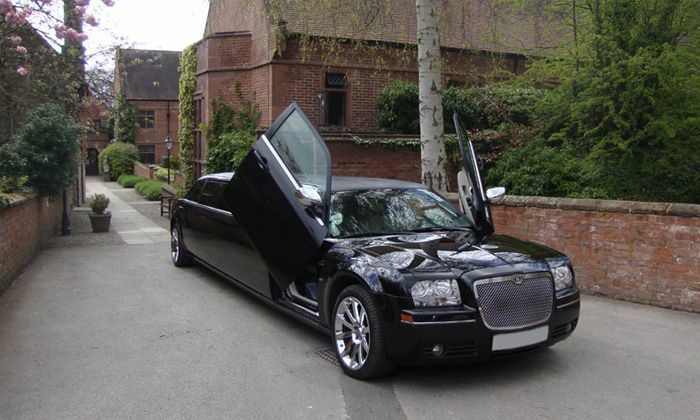 Phantom Hire Nottingham offers a wide range of luxury vehicles to rent, all chosen for their reputation and status. Our goal is to always exceed customer expectations. With the knowledge and expertise from help of our hand picked staff, we are dedicated to making your limo rental experience an amazing one. Hiring our amazing cars and limos can turn any occasion into a truly memorable one. We offer our luxury chauffeured cars and limos for bachelor and hen parties, school prom nights, birthdays, weddings and even for shopping trips to London. We are one of the UK’s leading prestige, luxury super car hire companies with an exotic fleet of super cars made up of some of the most stunning automobiles available on the roads today. Whether you’re looking for a Series 2 Rolls-Royce Phantom to hire in Nottingham or a Rolls-Royce Ghost or a Rolls-Royce Wraith in Leicester. 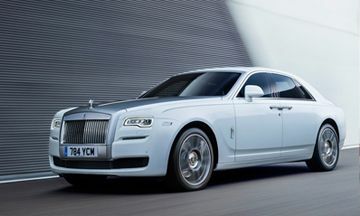 Our Rolls-Royce hire fleet is available in a range of colours and styles. Call us today and let us fulfil your luxury car hire needs be it for Wedding Car Hire Nottingham, a School Prom, or executive travel to an important business meeting or to collect a business client from Nottingham East Midlands Airport. 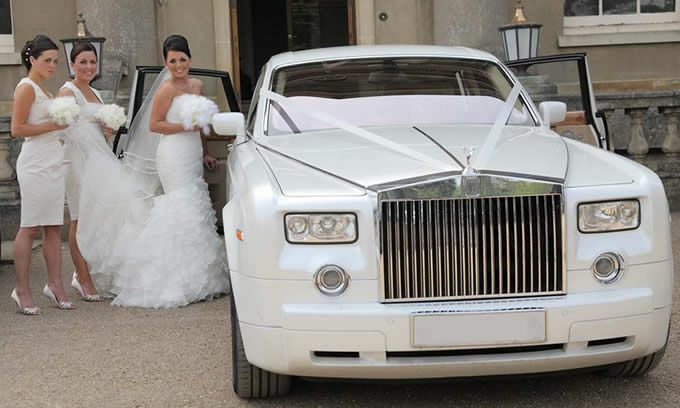 Our Rolls-Royce Wedding car hire Nottingham service not only offers you access to the fantastic Phantom but our wedding package deal also includes a personal chauffeur. Your Rolls-Royce Phantom Wedding Car will also include a tailored set-ups for each vehicle. This includes beautifully customised floral arrangements as well as ribbons and bows that are coloured matched to the theme of your wedding. 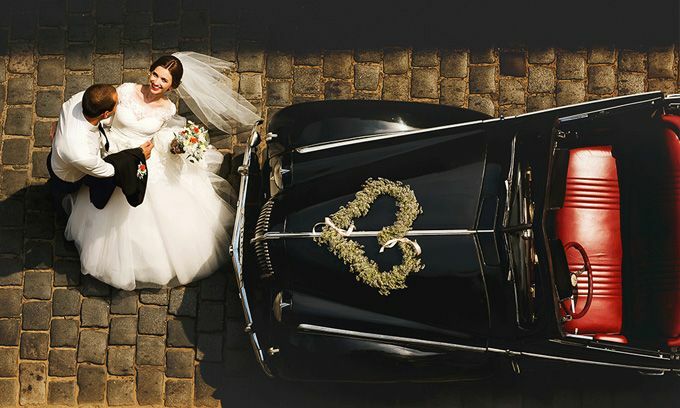 We are proud to present our amazing Nottingham Wedding Carscollection of beautiful & prestigious vehicles to hire ranging from the most luxurious modern wedding cars through to our classic 50’s & 60’s wedding cars and also our wedding limousines who want to arrive BIG on their special day. 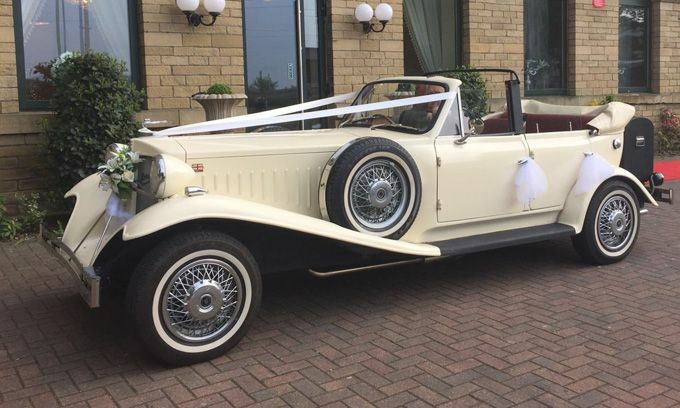 Whether you are looking to transport the Bride & Groom in one of our classic or vintage wedding cars or all of the bridal party in one of our stunning White Wedding limos, or you just want to stay within a fixed budget then we will ALWAYS aim to make your special day one to remember with the wedding car of your dreams. Our fleet of wedding cars includes the Rolls-Royce Phantom, the Bentley Mulsanne, the Lamborghini Huracán, the Audi R8 and many more prestigious cars. Our first class customer service and attention to detail has made us one of the leaders in Wedding Car Hire planning and provision in the East Midlands and Yorkshire. Choose our wedding car hire service and let us show you why we’re the best. We specialise in providing luxury wedding cars hire Nottingham at unbeatable prices. We pride ourselves on the world class service we offer to our clients on their special day.